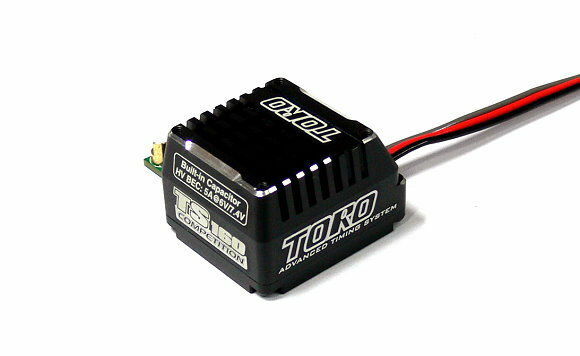 TORO TS160 is designed for 1/10th cars. 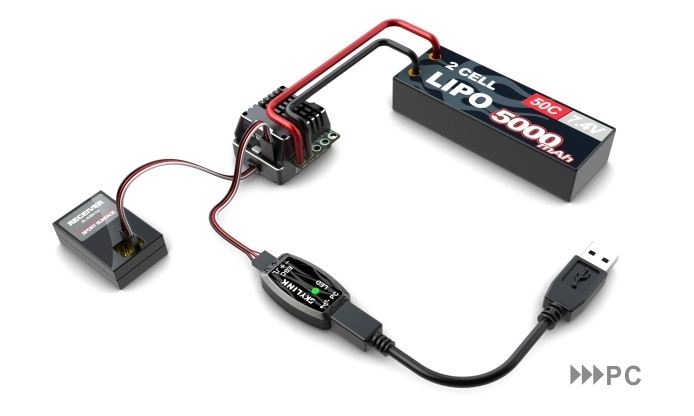 It runs on 2S to 3S LiPo batteries and has a built-in BEC with 5A and 6.0V/7.4V selectable voltage output. 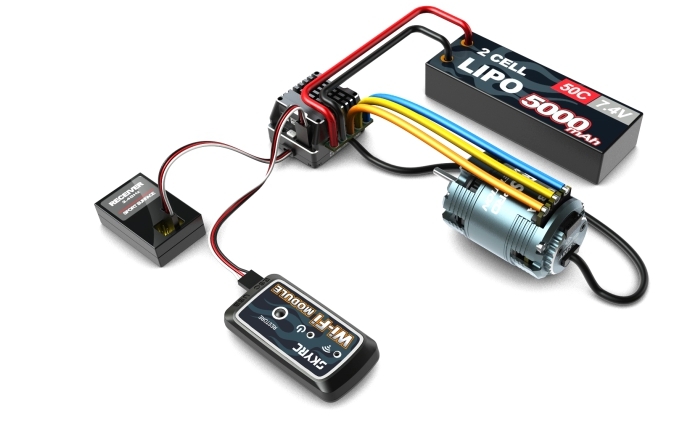 And it comes with internal power capacitors, high speed fan and built-in power switch. 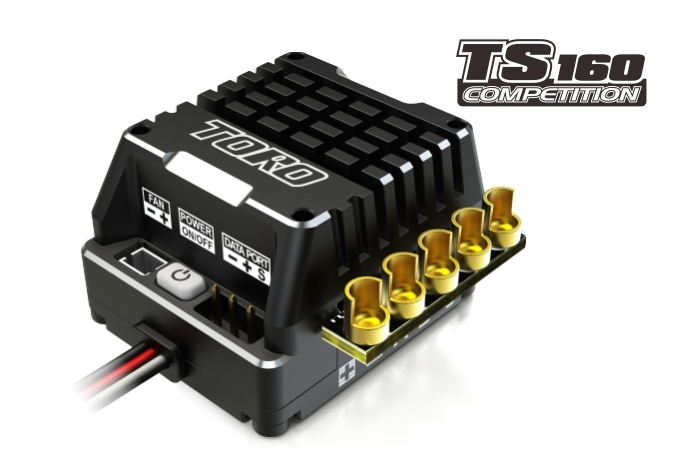 In terms of software, TS160 offers an advanced firmware for smoother throttle control. 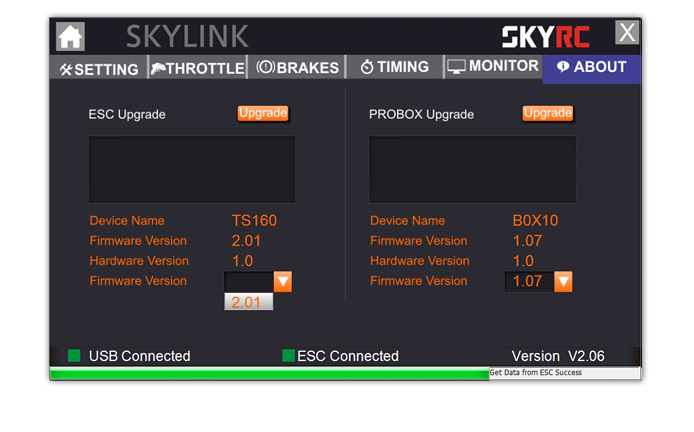 It can be programmed by program box, SKYLINK software and even your smart phone via Wi-Fi module. • Compact design for easy location. 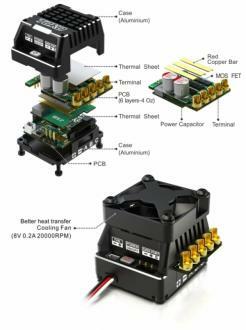 • Aluminum case for better heat dissipation. • Built in power switch for saving space and reliable operation. 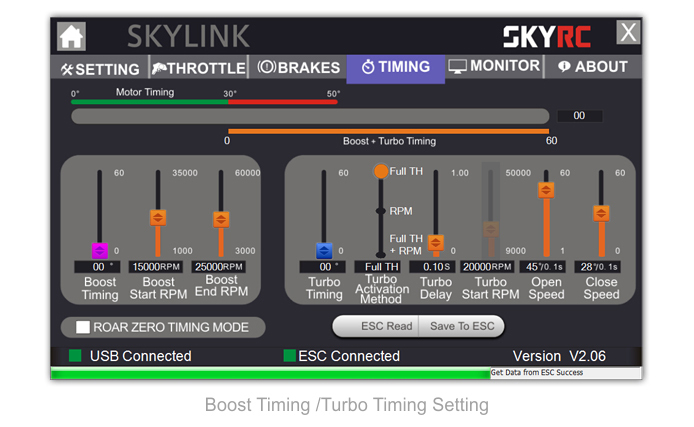 • Advanced boost and turbo timing system for improving acceleration performance. 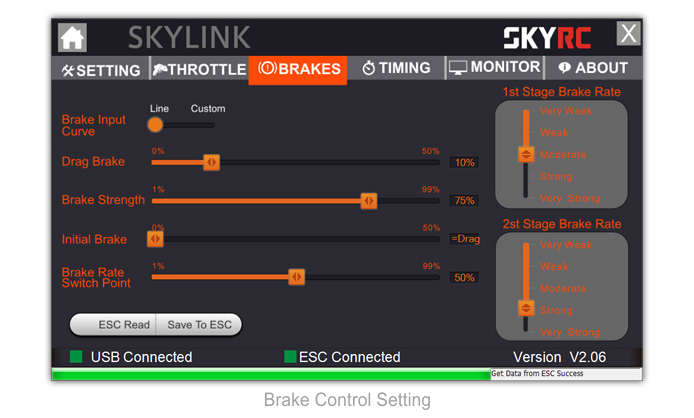 • Well-performed throttle and brake control function. 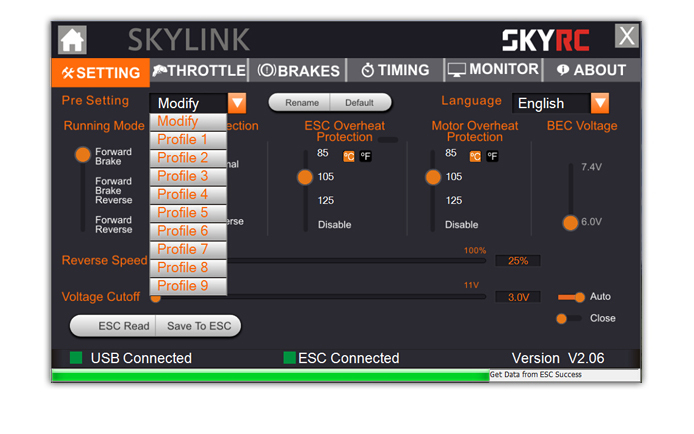 • 10 sets of profiles stored in the ESC for easy calling out. 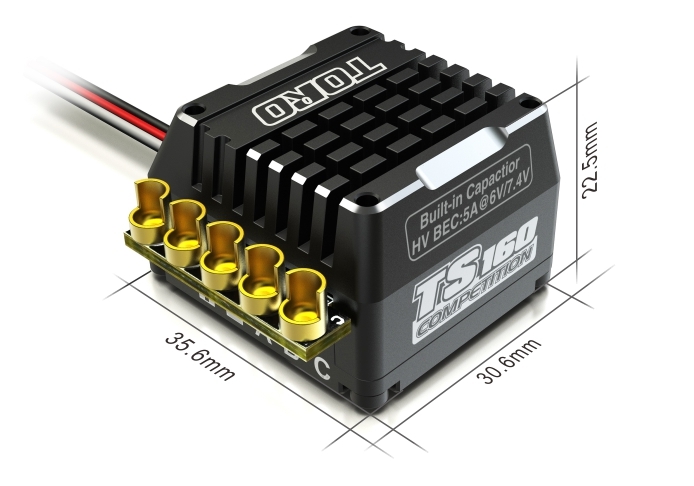 • Adjustable BEC: 5A and 6.0V/7.4V selectable voltage . 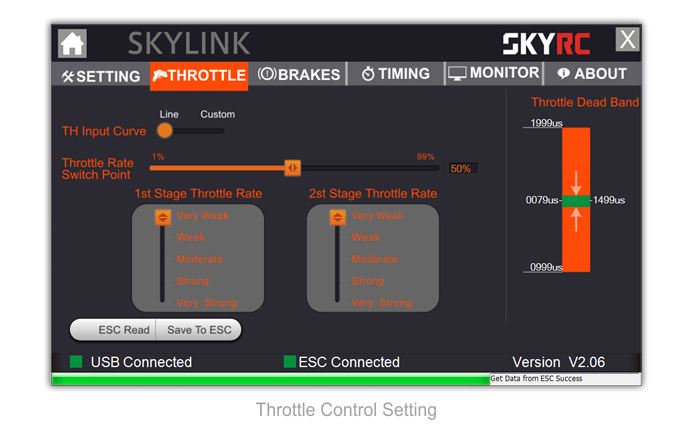 • Powerful Skylink software which can test motor timing and advise the ESC timing setting. 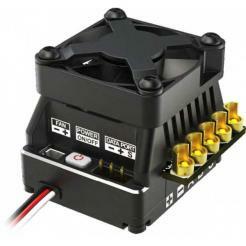 The users could set and store 10 sets of profiles in the ESC. These data could be called out at any time without any special program setting. 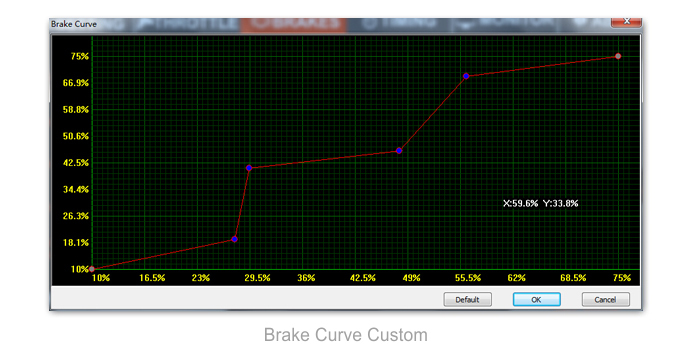 All the setting can be exported or imported so that the user could compare and analyze. for Line and power all can be met. 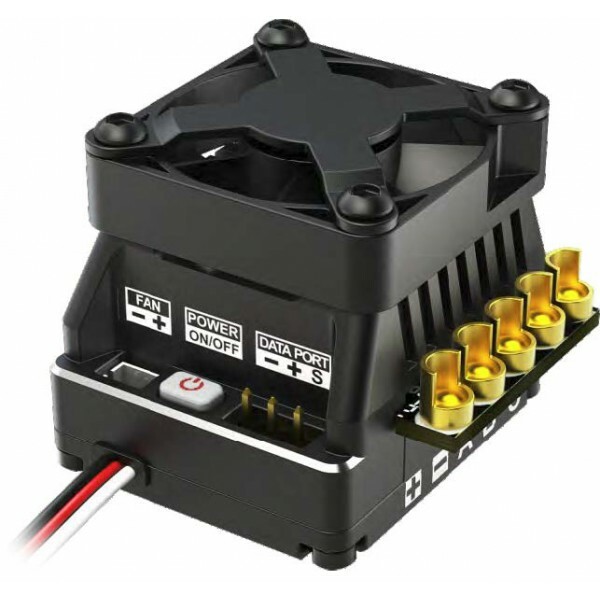 Users could set the turbo and boost timing which can improve the motor RPM to get its best performance. 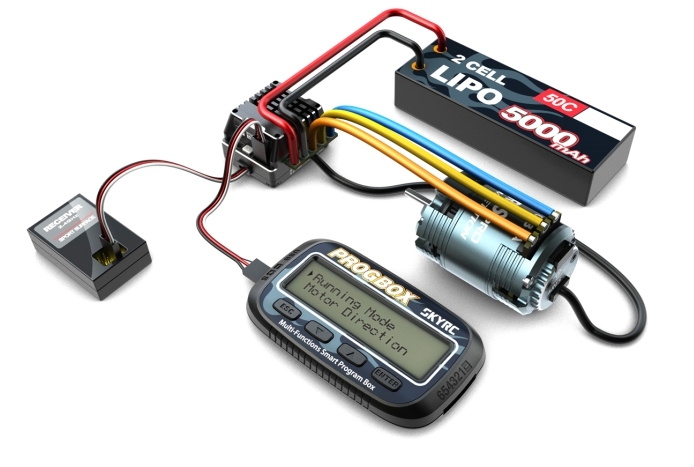 The firmware can be updated by connecting the ESC with PC or smart phone.